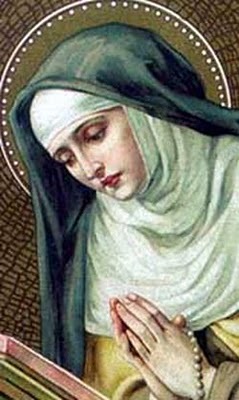 Father, you love those who give themselves completely to your service, and you filled Saint Mary Magdalene de Pazzi with heavenly gifts and the fire of your love. As we honor her today may we follow her example of purity and charity. Grant this through our Lord Jesus Christ, your Son, who lives and reigns with you and the Holy Spirit, one God, for ever and ever. one God, for ever and ever.